Frank Turner will release his seventh studio album, Be More Kind, on May 4th. Months after the release of Songbook, a career-spanning retrospective which also saw reworked versions of tracks from across the past decade, Be More Kind represents a thematic and sonic line in the sand for the 36-year-old. It’s a record that combines universal anthems with raw emotion and the political and the personal, with the intricate folk and punk roar trademarks of Turner’s sound imbued with new, bold experimental shades. 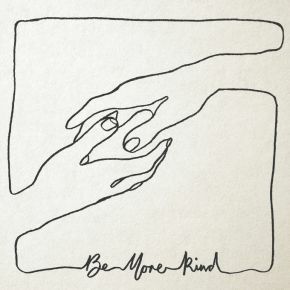 Be More Kind has been produced by Austin Jenkins and Joshua Block, formerly of psychedelic-rock Texans White Denim, and Florence And The Machine and Halsey collaborator Charlie Hugall. “I wanted to try and get out of my comfort zone and do something different,” says Turner. Now he just has to work out how they are going to play them live. The Be More Kind World Tour begun in April, with its first leg playing to over 200,000 people across the UK, the USA, Europe, Canada, Australia and New Zealand, taking them through to Christmas. Turner promises that 2019 will include visits to some “slightly more weird and wonderful places.” “My days of being engaged in an arms race to be the hardest touring musician in the universe are behind me now,” he says. “We’re going to tour hard but come home regularly in the middle of it.” The first batch of announcements covers 120 dates. Some old habits die hard. These are songs that demand to be heard and Frank Turner is packed and ready to go.